Cryptocurrency is an encoded, decentralized, and digitized currency that can be used for speculative gains or to buy and sell commodities and services. It works peer to peer, with each transaction verified and coded within a public ledger. The process which makes that possible is called crypto coin mining. We present a simplified overview of how cryptocurrencies (like bitcoin) work. Consider this as a primer for beginners, providing a better understanding of how cryptos are used for investments and commercial purposes. Use this information as the foundation for a deeper analysis of blockchain accounting and taxation solutions, areas that are increasingly coming under the regulatory scanner of the government. Unlike the dollar which is a fiat currency backed by the Federal Reserve, a cryptocurrency is a digitized currency which exists as a code within the blockchain software. The coding and the administration of blockchain are complicated, so we’ll stick to the basics. Cryptocurrencies have value; they’re coded in software with highly secure encryption, and they are transacted on a distributed ledger so everybody can view them. You can buy and store, and then sell cryptos in exchange for normal currencies using a cryptocurrency exchange. Bitcoin (BTC), Ethereum (Ether), Ripple (XRP), Bitcoin Cash (BCH), and EOS are widely regarded as the top five cryptocurrencies in a field that counts more than 1500 cryptos. The blockchain is a kind of accounting ledger that is composed of blocks of coded data. Each block connects to the other in an endless chain. That’s why the technology is called a blockchain. A huge amount of data can be stored in a block. You’ll find data validating the crypto owner. The block can also store images, documents, or any other commercial record. As more transactions get recorded, the blockchain becomes ever more complex. The entire blockchain frame rests inside a network of computers connected to each other through nodes. The blockchain ledger is distributed, meaning that every node in the network has a copy of the ledger. Community groups maintain private server farms and run the network – we call these folks “miners.” Their job is to ensure that every single crypto transaction is recorded, authenticated, and encoded in the system. It takes a couple of minutes for data to be verified and permanently encoded in the blockchain. Once a transaction is confirmed, the system won’t allow the same transaction to be duplicated. The crypto owner uses a private coded key to transact cryptos; the code identifies the person as the owner. Users can generate their own random 78-digit key codes. Losing the key is bad news because there’s no way you can access your cryptos ever again, so security and safekeeping of the key is crucial. Coded private keys ensure the security of crypto units you trade or transfer. A wallet becomes your protected space for storing excess crypto units. The cloud or an internal or external hard drive are areas you may store the wallet. Backing up a wallet is a good idea but the copy will only record the crypto units you have and prove ownership; the copy can’t replace the original wallet. The cryptocurrency transactions are overseen by miners. They are like record keepers, constantly verifying and confirming transactions. They band together, creating server farms using vast computing power to administer blockchain operations. Miners are constantly creating new copies of the blockchain, adding batches of verified transactions. The data is coded into blocks and chained together in a networked sequence. Each new block will hold freshly coded data in continuation of older blocks. The overseers of blockchain are called miners because of the wealth they generate. Miners work for a digital currency reward. Each freshly approved copy of the blockchain entitles the miner to a double reward; a fixed number of crypto units (what they have mined), and a percentage of the transaction fee (less than 1 percent) collected from people who trade cryptos. Mining requires huge capital, lots of hardware, and specially designed mining equipment. The overheads in terms of power bills are enormous. Crypto-mining is not an eco-friendly pastime. On an average, it would consume around 10 minutes for your crypto transaction to show up in a blockchain copy. This is the time taken by a miner to examine, verify, and authenticate the transaction and create a fresh copy of the blockchain. People generally assign a high value to a commodity that is in short supply, for example, gold. Gold has an intrinsic value because it’s rare. Its price is largely dependent on supply and demand. Cryptocurrency is similarly valued because its overall supply is fixed and finite. There’s a cap on the quantum of cryptocurrency that global computing resources can mine. That cap is already fixed inside the crypto algorithm. A lower supply of crypto pushes more demand for crypto, and more demand for a crypto escalates its value. 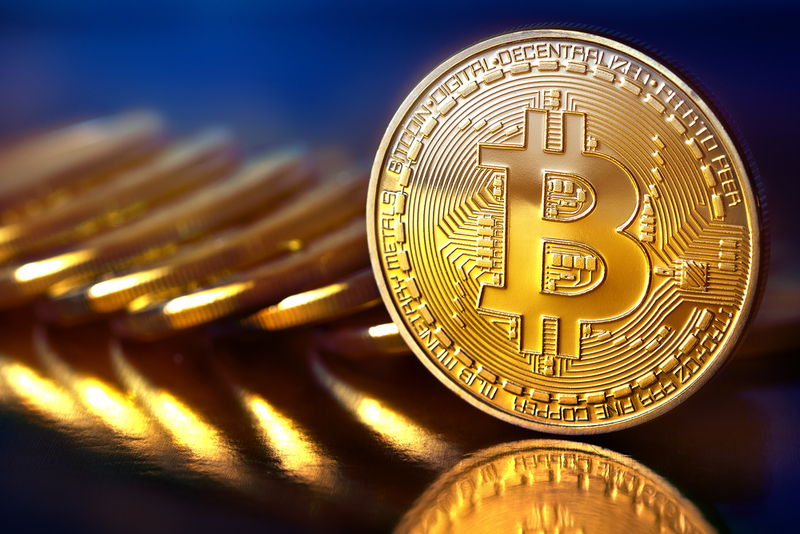 Bitcoin, the most popularly traded cryptocurrency in the world, is valued three times higher than gold. Bitcoin’s market capitalization has scaled $125 billion, and the current price per coin exceeds $7,000. Even though mining generates fresh crypto coins, this activity can’t go on forever. It is anticipated that mining will continue till the middle of the 22nd century. Till that tryst with destiny, miners will continue to receive rewards in new coins and fees for gatekeeping the crypto kingdom. The cryptocurrency exchange is very much like a stock exchange, but it works on a digital platform. It’s a computer controlled marketplace where we trade in cryptos. We can trade cryptos for a fiat currency like the dollar or do the opposite. In each transaction, you pay a fee (usually less than 1 percent) to the exchange. These trading platforms offer a liquidity route to crypto holders. More people are investing because cryptos are considered an alternative to fiat currencies that are highly inflationary. Coinbase grew into the one the world’s biggest Bitcoin exchanges. You can buy and sell, send and receive Bitcoin, Bitcoin Cash, Ether, and Litecoin with Coinbase acting as your crypto-custodian and broker, for a fee. The sender wants to pay the receiver a certain sum of Bitcoin in exchange for services received. The sender requests a transaction using a privately generated key code. The sender’s request is transmitted to nodes or hubs within a vast computer network operating the blockchain. The nodes verify if users have authorized access, they’re using designated wallets, and there’s enough crypto to fund the transaction. If everything’s OK, nodes give the go ahead. Both the sender and receiver use the key codes that they have secretly generated to move the cryptos. The community administrators (miners) check the transaction for authenticity and code the data into a block within the software. This usually takes around 10 minutes. Till final approval, the fund remain in escrow. The transaction is now complete. The receiver collects the cryptos in his wallet. The miners would have added the transaction to a freshly changed blockchain. Cryptocurrencies evolved in response to the chaos and instability plaguing the world of fiat currencies. Cryptos offered a transparent and decentralized system that no government could interfere with. Valued like a commodity more than a currency, cryptocurrency trading hit huge highs and extreme lows but always survived volatile markets to create value for investors. Investors need to be cautious. In some countries (US foremost), government regulation has made citizens accountable for the cryptos they trade, and capital gains are taxed. To err on the side of caution, limit one’s exposure to crypto trading to reasonable levels. Ensure to create backups of crypto wallets, and protect key codes from external threats. These basic precautions will enable you to become a smarter crypto investor or enlightened commercial user. Whichever way you use cryptocurrencies, it goes without saying that this is a digital revolution that will transform the way you do business and impact the lifestyle choices that you make.